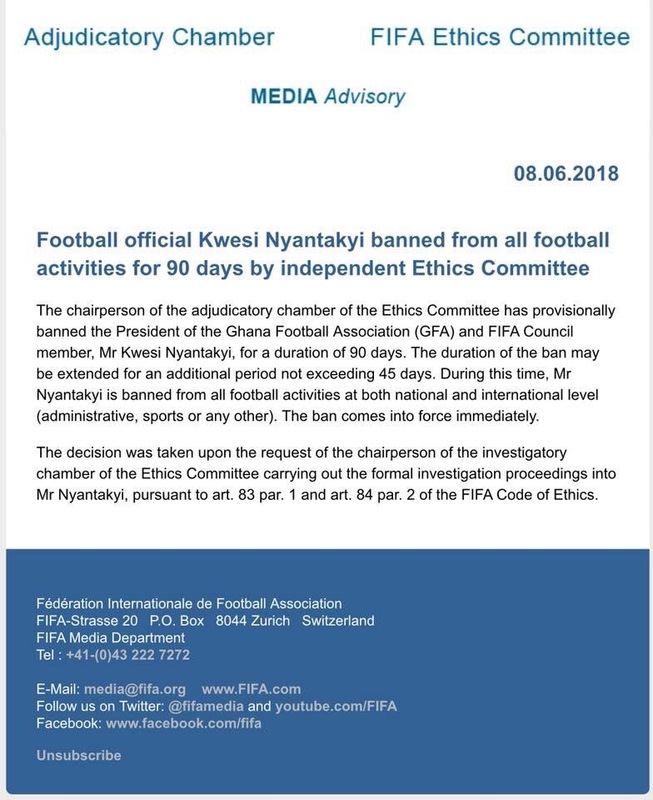 The Ethics Committee of FIFA has banned the President of the Ghana Football Association Kwesi Nyantakyi from all football related activities for a provisional 90 days. This comes days after after shocking revelations of corruption in Anas Aremeyaw Anas’ latest investigative piece on Ghana Football. The documentary which was premiered on Wednesday, captured the FIFA executive council member outlining to agents of Anas’ TigerEyePI who posed as investors the key government officials to bribe and also the steps to take to get a strangle hold on key projects in the country, as well as suggesting a dummy financial agency that would broker a sponsorship deal for the Ghana Premier League.